Wall Racks are an ideal alternative to Mobile Plan Trolleys when space is very limited. Wall Racks are unique to the system; they are simply mounted to the wall and will instantly hold clamps of any length or a combination of various lengths. Plans are filed in an unobtrusive, instantly accessed way. All Wall Racks are supplied without clamps. 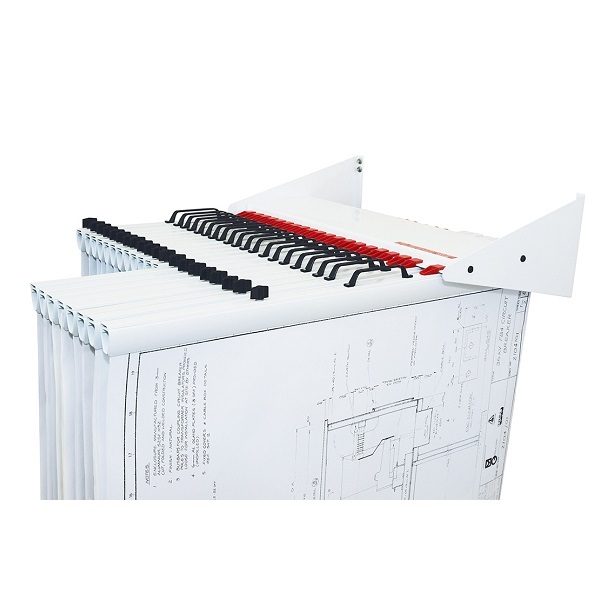 The front loading feature of Planhorse Wall Rack 1000 make drawings quickly and easily accessible. 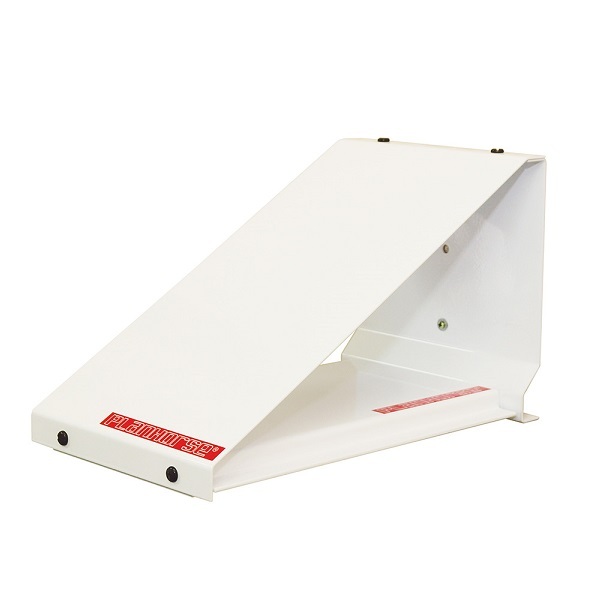 Holds 10 clamps of any size and files up to 1,000 sheets, parallel to the wall. Drawings are filed flat with no creasing, tearing, crimping or folding. Wall Racks are very convenient for filing active project work close to the where they will be required. Overlong sheets are easily hung by mounting the Wall Rack higher up the wall than normal. 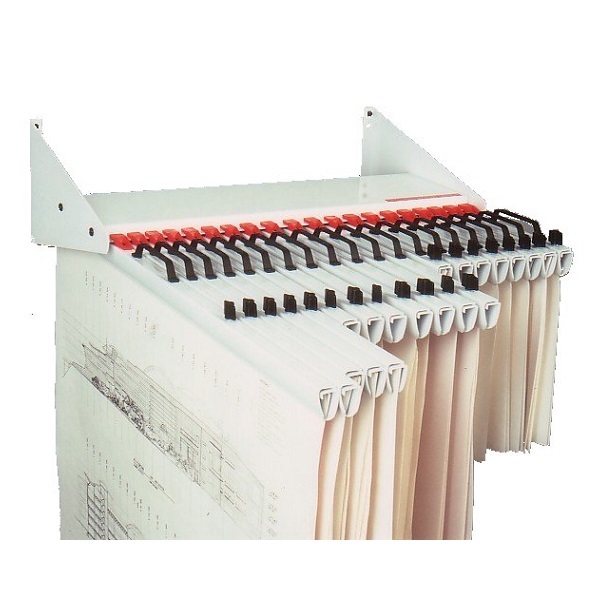 The front loading feature of Planhorse Wall Rack 2000 make drawings quickly and easily accessible. 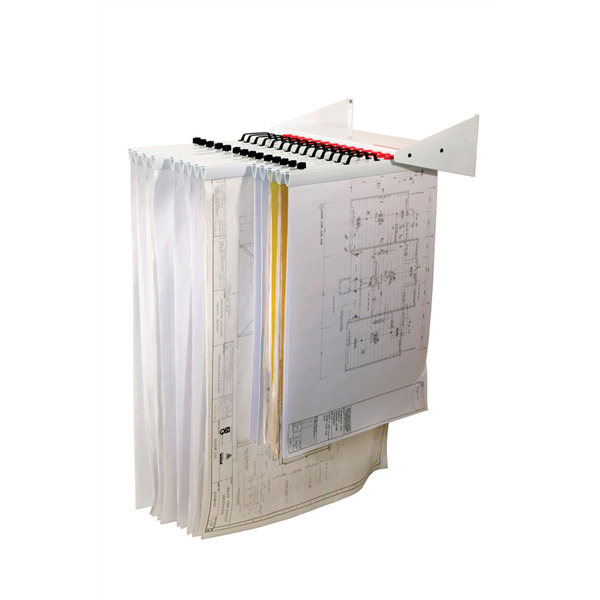 Holds 20 clamps of any size and files up to 2,000 sheets, parallel to the wall.